Think First Class is luxurious? Try your own private jet! Lufthansa's private jet service has been designed to break up long-haul flights and add an extra dimension of incomprehensible extravagance. So for instance, travellers can fly into Europe in First Class, then take the private jet to their final destination. 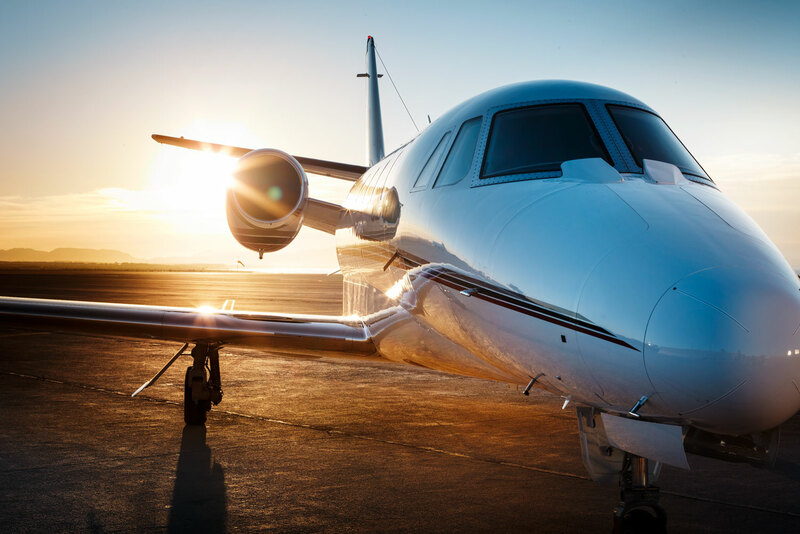 As well as choosing the destination and the accompanying passengers, private jet guests also choose the departure time and any additional services such as limousine tranfers, flight attendants and menus. 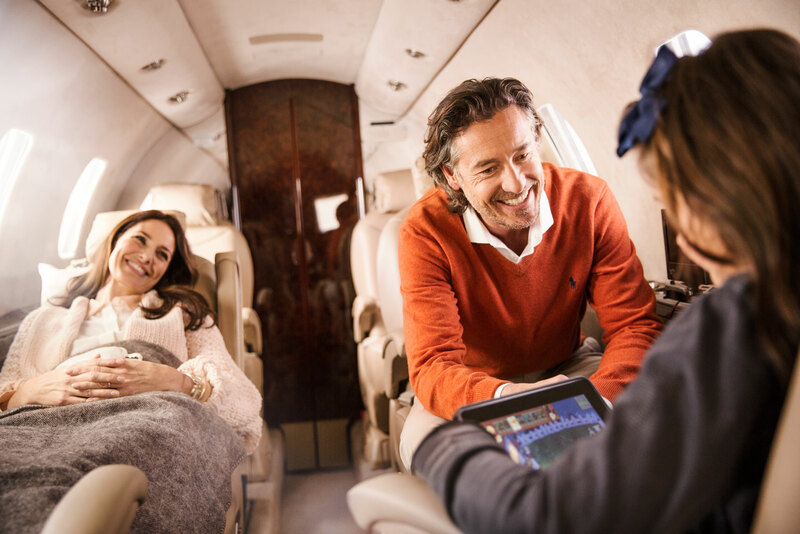 When you book the Lufthansa private jet service, you book the entire plane to your desired route, then additional passengers (i.e. business partners, friends and family) can be taken along free of charge. In other words, you never have to share the jet with other travellers. Lufthansa's private jet flights are available on short notice and can also be cancelled up to 48 hours before flight. It’s a widely-held view that First Class is the pinnacle of air travel. And rightly so. Plush, reclining seats, extensive food and wine menus, and delicious amenities are enough to make any marathon flight a pleasure. Lufthansa – the flag carrier of Germany and the largest airline in Europe – is now vying for the title of world’s first ‘five-star carrier’ in the Western Hemisphere, with a special launch for First Class guests. Already Lufthansa First Class guests are treated to exclusive lounges pre-flight and a limousine service, as well as spacious seats with a scientifically-designed ergonomic mattress for hotel-like comfort (they can be adjusted to a fully flat position, too). The oversized cabin bathrooms come complete with La Mer toiletries, while the in-flight menus are designed by famous star chefs, complemented by a multi-award-winning wine selection. However Lufthsana has just raised the bar even further. First Class guests now have the option of a private jet service. We repeat; a private jet service. Designed to break up long-haul flights and add an extra dimension of incomprehensible extravagance, travellers can fly into Europe in First Class, then take the private jet to their final destination. And it seems Lufthansa is the only airline to date that has fully integrated private jets into its structure. 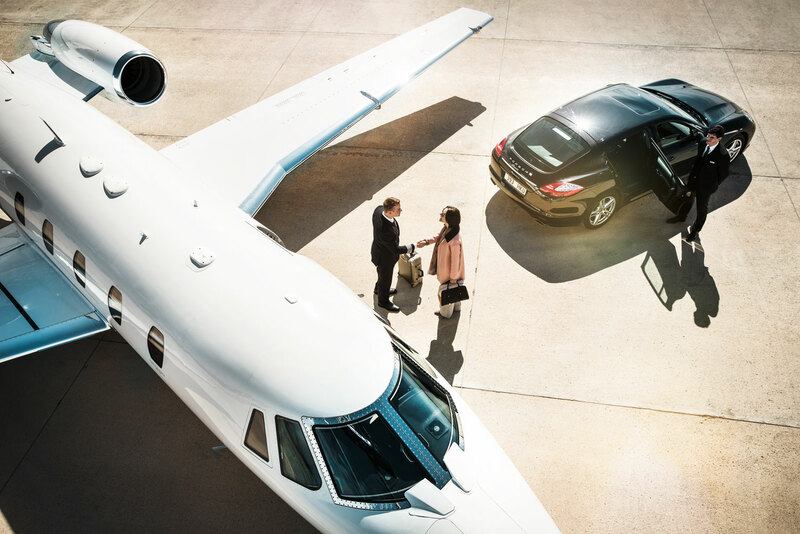 With Lufthansa’s ‘Fare Combination’ option, it means transfers from your private jet to the standard scheduled flight (and the vice versa) is already included in the fare. This also includes luggage transfer and the necessary administrative organisation. 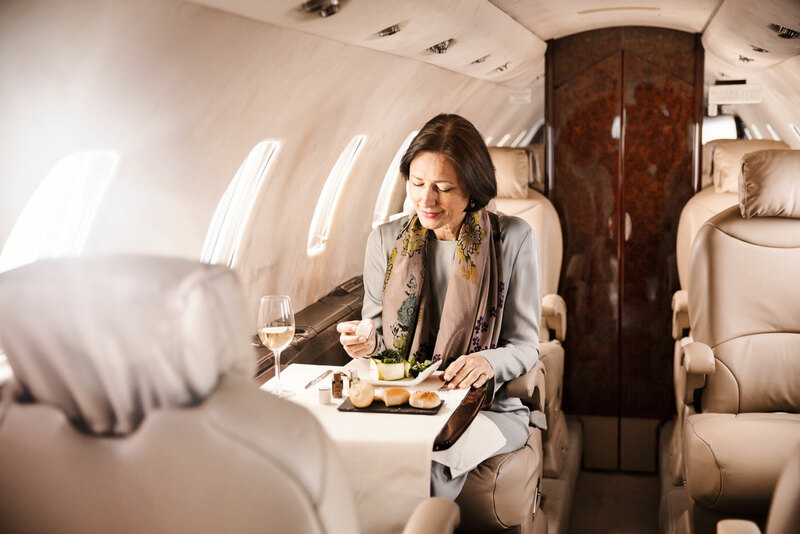 “With the ‘fare combination’ our customers benefit from very attractive offers on First Class fares ex Asia when combined with the Lufthansa Private Jet service,” says Lufthansa’s General Manager Australia, Anil Rodricks. So just how private is this private jet? When you book, you book the entire plane to your desired route, then additional passengers (i.e. business partners, friends and family) can be taken along free of charge. In other words, you never have to share the jet with other travellers. Better still, private jet flights are available on short notice and can also be cancelled up to 48 hours before flight.